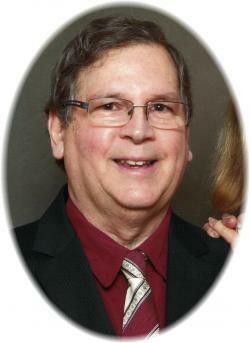 Reverend John Charles Boddy – 67 of Coldbrook, Kings County, passed away peacefully on February 13, 2018 in the Valley Regional Hospital, Kentville. Born on April 26, 1950 in Middleton, he was a son of the late Gordon "Fred" and Cora (Redden) Boddy. John taught school for 13 years, mostly in Avonport. He graduated from Acadia Divinity College in 1985, and served the areas of Deer Island, Plaster Rock and Waterville, Caledonia and Kempt. John is survived by his wife, Janine (Carey); one daughter, Katrina (Robert Leslie), Deer Island, NB; two sons, Adam (Theressa), Second Falls, NB; Nathan (Joanne), Greenwood; ten grandchildren, Abbygail, Kenton, Brielle, Jenna, Jody, Liam, Kaley, William, Patrick and Caleb; four great-grandchildren, Xzavier, Bailey, Christopher and Jake; one sister, Jean (Russell) Zwicker, North Alton; one brother, Brian (Nancy), Kingston; mother-in-law, Dorothy "Doreen" Carey, Mount Denson; brothers-in-law, George (Susan) Carey, Bluff Road; Garnet (Tracey) Carey, Red Deer, AB; sisters-in-law, Diane (Dennis) Brown; Adriana (Chris) Musgrave, both of Mount Denson; numerous nieces and nephews. Besides his parents, he was predeceased by a son, Duane. Visitation will be held from 6:30 – 8:30 p.m. Thursday, February 15, 2018 in the Coldbrook Baptist Church, where the funeral service, followed by a reception, will be held at 2:00 p.m. Friday, February 16, 2018, Reverend Wayne Merrill officiating. Burial will take place in the Mount Denson Cemetery. Donations may be made to a charity of your choice. Flowers are welcome but due to scent sensitivity, please no lilies. Funeral arrangements have been entrusted to the White Family Funeral Home and Cremation Services, Kentville.